I never gave importance to myself always thought about others but never thought that my body needs care. Now I realized that I need to activate not only my body but also my mind & learn to control breathing. I can win if I avoid temptation & follow discipline. It was a ‘YOGA Yog’ that I met Pundit Ji. 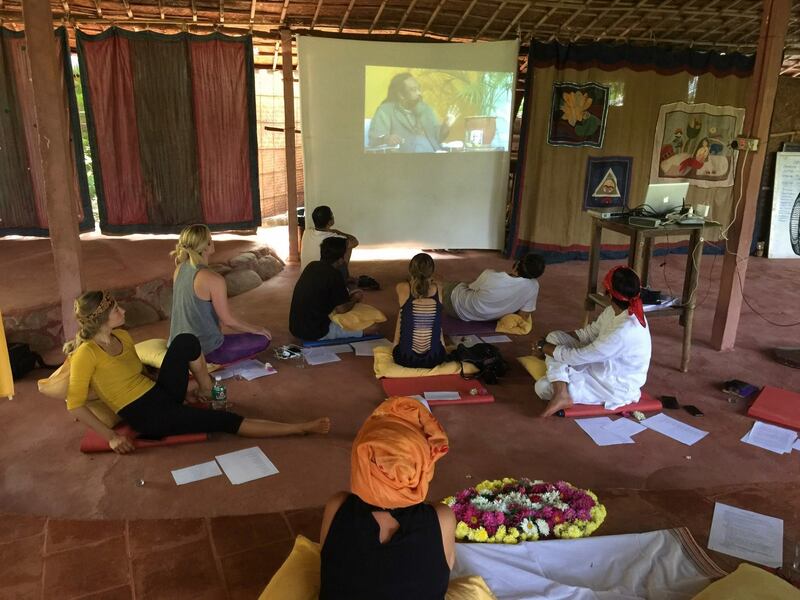 The 11 days yogic session has totally enlighten my life & has opened a new hope in my life. The session was very informative; I will try my level best to improve my overall personality through yoga. I am very much thankful to Pt. Mishra for giving me such an important & rejuvenating experience with this positive gesture. I thank you Pundit Ji for the knowledge given to me about Yoga. Pt. Mishra’s Yoga workshop was very good. I would recommend people to attend his workshops as they can be aware of themselves as we all tend to forget what we are & what we can do with our body. His workshop has brought so much awareness in ourselves which was not known by us also. Thanks to Pundit Ji once again. “Yoga” never thought I would ever indulge in but as soon as I heard Pundit RadheshyamJi I have decided to follow yoga regularly in my life. Also would advise my near and dear ones to take up yoga seriously for a healthy life. Thanks to Pundit Ji. Though I had learned yogasanas from a few different teachers earlier nobody explained them as succinctly and provided the scientific background and effects and purpose of each asanas so beautifully as Pundit Radheshyamji. Thank very much for helping all of us by initiating us on a path for better life guruji. I had never learnt yoga/meditation before. Teaching methods and exercises are very simple and effective. I am motivated to practice daily as I believe I can benefit significantly from this. Thanks to Pt. Radheshyam Mishra Ji. The workshop by Pundit Mishra has given good understanding of how should I know myself better & what can I do to improve myself both physically and mentally. I thank Ujjain Yoga Life Society’s Pt. Mishra for all the efforts he has put for all of us. Would definitely make this knowledge useful in my daily life to become better person. The yoga program was excellent it is a must for every person to know himself in a busy life style. We tend to forget ourselves and are governed by our life style. This program is an eye-opener in self-awareness. Well-articulated simple lucid and concise. Thank Pundit Ji for his time and motivation.